Within the last decade, the radiology industry has seen a steady increase in consumerism among patients, who are faced with a gamut of choices and decisions when it comes to the quality and price of their medical care. This trend is largely a product of new patient consumers "picking up the tab" with hefty out-of-pocket deductibles brought about by the Patient Protection and Affordable Care Act. Based on recent Kaiser Family Foundation research, average deductibles for covered workers rose 12% in 2016, to $1,478. This means that radiology practices need to put more effort into managing this new self-pay-after-insurance patient population to ensure a healthy cash flow. Radiology groups have traditionally operated in a business-to-business model where patients' bills were paid largely by various government and private insurance payers. Radiologists previously knew who to bill and what to expect in the way of payment from payers, but today's payer landscape has been transformed as well. As patients have been encouraged to take responsibility for the value of their health care purchasing decisions, so too have insurance companies used the notion of "consumer-managed health care" to shift the responsibility for payment to the patient by implementing high-deductible plans and health savings accounts. Radiologists find themselves increasingly working in this new business-to-consumer model, and they need to transform themselves and excel in their ability to connect with, bill, and collect from thousands of individual payers rather than scores of corporate payers. Billing and payment for radiology procedures are often-overlooked aspects of the patient experience and may be the reason that many radiologists are seeing increases in patient complaints and bad debt year over year. Confusing medical bills and frustrating collection processes can derail satisfactory clinical experiences in the hospital or at an imaging center. Disgruntled patients unsettled by complex bills—followed by collection letters and poor interactive voice technology phone calls—are less likely to understand their financial responsibilities and, subsequently, less likely to pay on time or at all. Therefore, the new postreform environment requires a more customer service-centric approach as radiologists face mounting pressures to provide revenue cycle processes that are more "retail" in design. Real-time adjudication and time-of-service collections technology with tangible and effective follow-up strategies are an absolute must for radiologists to interact with today's savvy patient/consumer because, as the role of the radiologist continues to evolve, so too will the way they handle payments. To prevent the billing process from tarnishing patients' experiences, radiologists must now focus on two principal strategies: managing patients' expectations up front and empowering them to be more accountable for fulfilling their financial responsibilities. Central to managing patients' expectations is presenting the internal billing department as professional, friendly, and dedicated to providing the most worry-free collections process. It is concerning when radiologists must oversee billing and collections duties on top of caring for their patients. These added responsibilities can have a negative impact on the overall quality of care and may also contribute to a diminished view of the practice overall, as well as result in poor interactions between patients and staff. Practices should be investing in training their people, and there should be staff who are there solely for collecting money and insurance information, as opposed to clinicians juggling these responsibilities on top of their clinical ones. In reality, however, many radiology practices as well as larger imaging centers do not have the resource capacity to designate or hire employees to work exclusively on billing and collections. In these cases, radiologists might outsource these responsibilities. 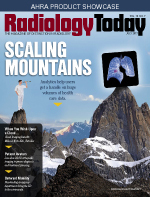 Radiology groups and imaging centers rely on billing and collections to remain financially stable, but they may not be aware of the large impact that billing and collections have on their patient satisfaction scores or online reputation. In fact, when the Department of Health and Human Services decided to base 30% of hospitals' Medicare reimbursement on patient satisfaction survey scores, they did not factor in the methods that were being used to collect payments from patients, nor the vast cultural and demographic differences that each hospital sees and must contend with, in order to keep patients happy. A billing process can greatly increase a patient's frustration with the hospital, which then ties into a patient's propensity to complain. Further supporting these issues, research suggests that 74% of satisfied patients paid their medical bills in full, compared with 33% of their less-satisfied counterparts, thus proving that patient dissatisfaction with financial processes can negatively impact satisfaction scores, and an institution's bottom line. Radiology practices and imaging centers must adopt a "help me help you" mentality when it comes to billing and collections. Whether they seek an external partner who specializes in securing patient payments or acquire the resources to enhance their own billing and collections department, interactions with patients should always be consumer-centric. In addition to providing the portals and tools for actually making payments, the key is to provide patients with all of the information necessary to understand what they owe and when payments are due. The first thing radiologists must do is introduce the process to the patient at the time of service. Clearly explaining to patients up front the series of steps involved in the billing and collections process remedies any worries they may have regarding the payment process. This can be most useful if, for example, a time-of-service collection technology is used. It also helps patients feel more in control of their health care experience because they will know what to expect when they receive their bills. That is why broader follow-up methods, such as claim-tracking status, online patient portals, interactive voice response technology, and text messaging, are more effective. These are all consumer-driven events that many radiology groups are ill equipped to handle without procuring outside support. While not representative of the majority of the patient population, some patients are inclined to avoid paying their bills, and the increasing rate of high-deductible health plans (HDHPs) will exacerbate this problem. Therefore, it is imperative to be as vigilant as possible in collections and follow-up efforts. These "consumer-driven" modes of communication also help expedite possible discounts that can be awarded to patients, in turn helping speed up receipt of payment. As the population of patients with HDHPs grows, the need to enhance the billing and collections process has become particularly pertinent. The evidence is plain; data show a positive correlation between the increasing rate of HDHPs and uncompensated care, as well as patient complaints or requests for discounts. Radiology practices and imaging centers can implement best practices, such as managing patients' expectations up front and empowering them to be more accountable to pay their bills, to mitigate these trends in their billing and collections department. Alternatively, groups can seek help from dedicated professionals trained to do it, since these changes in health care are fueling innovation to develop payment solutions to meet the evolving needs of health care payers, radiologists, and patients. Radiologists wanting to improve their patient satisfaction ratings, decrease bad debt, and gain an edge on the competition should create multiple traditional and nontraditional options to interact with patients, especially taking into consideration the electronic and mobile demands of today's patient/consumers. Whichever direction is taken, it is essential to no longer just believe insurance carriers are going to pay for services rendered and ignore the third largest payer—the patient—ultimately affecting the bottom line. — David Myrice, CPA, MBA, is a director of practice management with Zotec Partners, a national provider of radiology revenue cycle and practice management.